My new born baby 'XL2' has arrived! I can't wait to get out of work to check my new born baby 'XL2' today because it's been delivered since the morning! Eight hours seemed like 48 hours. Ah, what a great day. Don't forget to look at the box under the box for the accessories ; ). The XL2 is here today and I'll have a 7" Ikan monitor, a Pelican 1614 case, Azden dual channel wireless mic by next week. I can't wait to see them all! 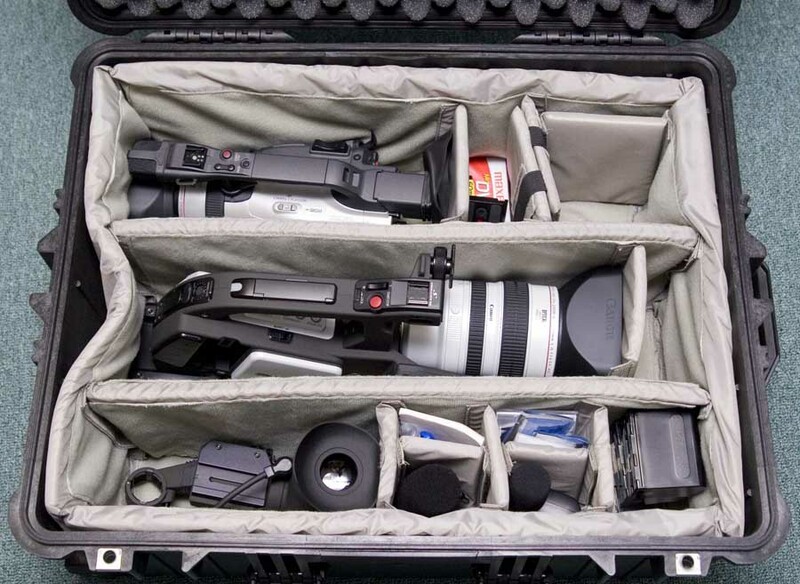 Let me know how you like the pelican case. I'm still looking for a good case. For both my XL2s. I like them a lot. I looked at the pelican ones and they seemed less sturdy (but I'm no expert) than the canon hard case. What I like about the canon case is that it fits the xl2 perfectly and has configurable partitions underneath the camera layer. I'll let you know my first impression of the Pelican 1614 when I get home. I tracked it and saw that it was delivered this morning. It looked like it would fit my XL2 and GL2 together based on the picture on the B&H site. I'm telling you. If you don't own an XL2, go get one. Let me know how you like the monitor, I've been looking for a nice inexpensive monitor myself. Congratulations on your new delivery. I received my XL2 from B&H about a month ago and its been a love affair every since. I would be very interested in knowing your impressions or anyone elses impressions on the monitor also because now that I have used the camera for a little bit I know I need a good monitor and most of the ones I see are 4:3 and I want 16:9 without it being too huge so a 7 inch would be good but a 5 inch would be more ideal. I have read threads on here of people using cheap DVD players as monitors but my concern then is battery life and the arguably less professional look. Let us know your thoughts and observations on this monitor and again congrats on your new arrival. I can tell you that the Pelican 1614 (1610 with padded dividers) is very rugged, strong and heavy. It fits the GL2, XL2 and many accessories. I think it'll also fit an Azden dual channel set and an Ikan 7" monitor, but I won't know for sure until sometimes next week. and here's picture of my Pelican after I put the GL2, XL2 and accessories. Where did you purchase your XL2? Yes, where please? I'm having a hard time finding who will give me the best value for my XL2 dollars. I bought mine at B&H. You can find a lot of these fly by night places that will sell it much cheaper. royalcamera.com is one such example. I almost bought from there but the salesperson gave me such a hard time after I gave him my credit card that I wanted to cancel and they said (during the phone call) that it had already shipped! Yeah right. I had to cancel my CC because they refused to cancel the order. B&H is so much easier to deal with on returns and other changes. Also, when my friend went to buy his xl2 he was looking at examples in the 2600 dollar range but upon closer inspection he found that the either didn't come with a view finder (how is that possible?) or did not come with a US warranty (i.e they were for european distribution). B&H has been my main store for two years and they carry everything I want. Give them a call and they may offer you some discount if you buy multiple items. Or look up the sponsor page at the uper right corner. I did shop around and got the price that I felt comfortable with. that's is really fast shipping,,not even off the phone yet!! You can call you credit card company if it is a good one and tell them not to pay the company. You don't have to cancel the card. Most credit card companies are glad to help you on scams. In this case, it was Citi. They told me the could not do that, for whatever reason. I told them I had a fraudulent user and they said that what they would do was pay them, then put the charge in investigations. At which point I said, "okay, lets cancel the card". They did that at no charge and had me a new card in 2 days. It would have been cheaper if they had just not paid them as I wanted. Silly. But I wont deal with camera companies like that anymore. The salesman was totally bullying me on the phone and literally refused to cancel the order. I don't dig high pressure.